car fixed in no time. 2 hours on single panel repairs! As we are mobile we can offer our services to the public, main dealers & insurance companies at a choice of their location. All we need is access to power, space for our van & your car. 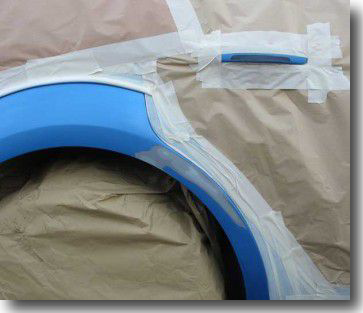 With all of our technicians having worked in large body shops across the UK they can provide you with the highest quality of workmanship alongside having a wealth of knowledge in car scratch repair. Our quoting system is very simple. Click on the ‘Get An Instant Quote’ button anywhere on the site and fill in as much detail as you can, the more detail we receive the more accurate the quote will be. If you don’t have time then just your name, number, email address and post code will do and we will call you back. Once we receive your details you will receive an instant email from us in your inbox, with an estimated cost of repairs, remember to check your spam folder. We'll email you straight back with an Estimate. 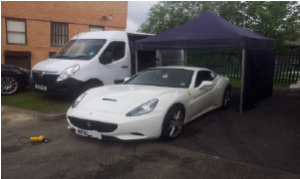 Our car scratch repair service is mobile and in case of rain we can pop a rig up to put your car under. 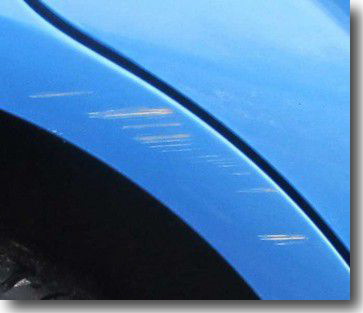 We are different to most S.M.A.R.T repair companies in that we carry out paint scratch repairs to cars with multiple scratched panels. All our repair technicians are fully qualified and training enabling us to carry out the larger repairs that we do as well as small. All you need to do is contact us & one of our car scratch repair advisors will contact you to discuss & quote you for the repairs. The process is very simple & friendly taking just a few minutes. So how do we repair scratches on cars? 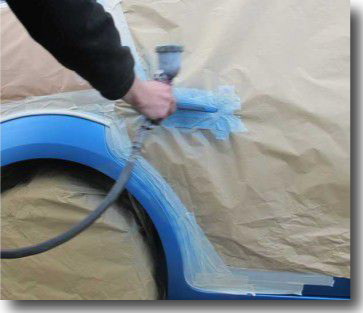 All our Mobile Car Paint Repairs are carried out at a location of your choice, all we require is access to power and space for our van and your car. We do advise that terraced streets or narrow/main roads are normally unsafe to carry out road side repairs. 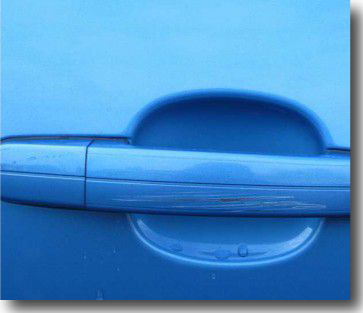 We use the same methods for Car Scratch Removal Service that crash repair centres across the UK use to carry out scratch repairs to your car. Once we have painted your scratch the panel will look like new, just how it was when you bought it. We use infrared lamps to cure the lacquer and we then flat and polish it. Repairs take about an hour and a half per scratched panel. In some instance panels need to be blended to match the colour. We also advise you do not pressure wash your car for 14 days to allow the solvents to properly cure. Please feel free to ask one of our advisors on more information for this. If you would really like to see how we do the repairs then just watch one of our scratch repair videos by clicking here. 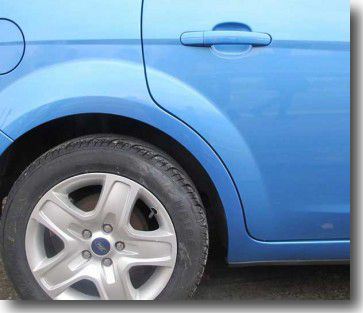 We cover the North West of England including Manchester, Cheshire, Merseyside, Lancashire and Staffordshire for all types of auto mobile car scratch repairs. We do not use any buy of the shelf car scratch repair kits or car scratch repair pens and we would not recommend using these as they tend to cost more in the long run and never fully rectify the original scratch in the first place. We only use manufacturers approved paints and lacquers.